Lim + Lu’s newly launched Mass series, featuring a reconfigurable sofa, a day bed, and a pull out bed, is originally designed to complement the concept of the pair’s colorful apartment. The mass of the furniture pieces juxtaposes and grounds the lightness of the space. 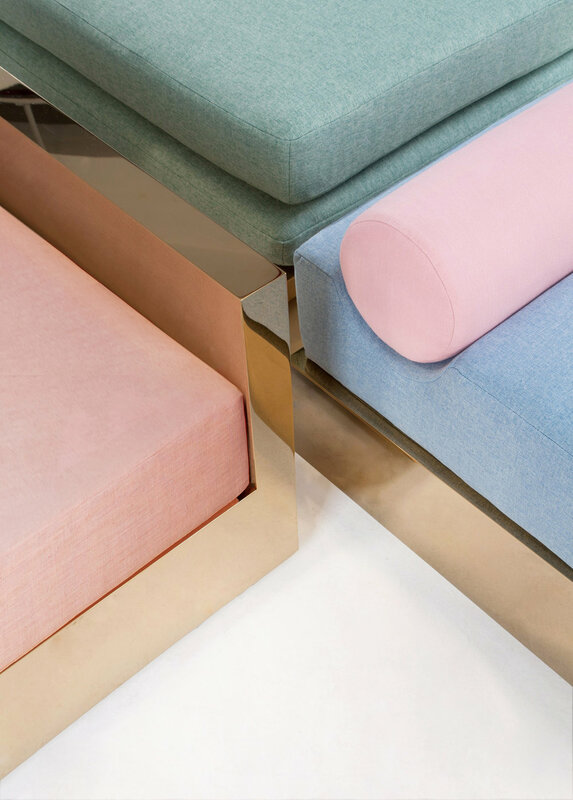 Upholstery in soft pastel colors rests on seemingly dense brass blocks, creating a playful contrast of the two materials. 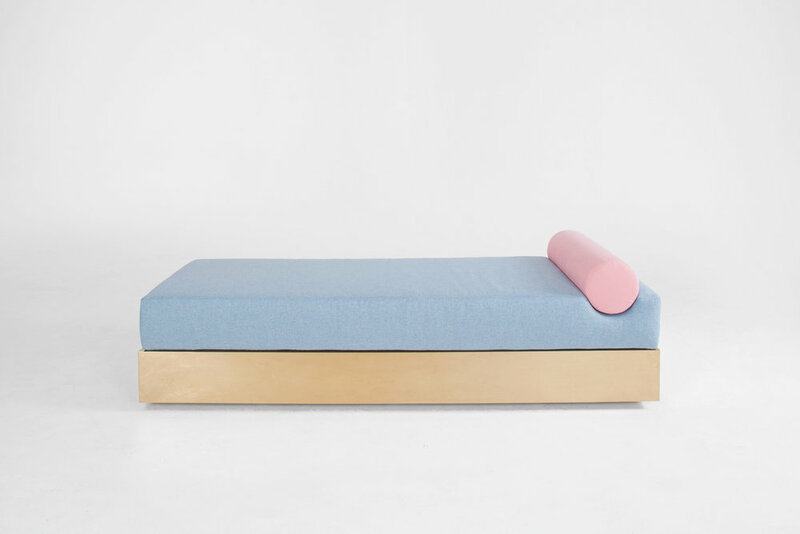 The geometric daybed features a brass finished base with a blue seat of the same height resting on top. A pink cylindrical pillow seductively carves into the seating block. The furniture pieces are made of stainless steel in polished brass finish. Each piece is available in a variety of fabric options, made to order.